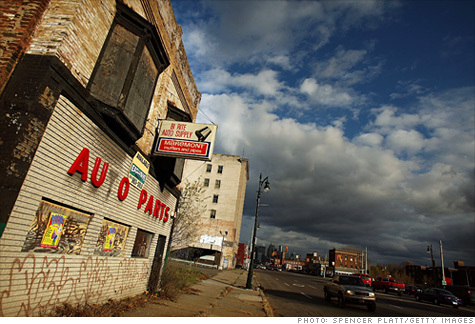 FORTUNE — Several downtrodden cities are on the verge of defaulting on their debt, putting financially encumbered states and taxpayers on the hook to pick up the tab. The National League of Cities says municipal governments will probably come up $56 billion to $83 billion short between now and 2012. That’s the tab for decades of binge spending; municipal defaults could be our collective hangover. Municipal bonds, issued to fund public projects such as roads and public buildings, have historically been seen as one of the safest places to invest, which is why 80% of municipal bond holders are individual households and mutual fund investors, explains Jeffrey Cleveland, municipal bond analyst at Payden & Rygel Investment Management. The average five-year cumulative default rate for investment-grade municipal bonds is less than half a percent, according to Moody’s data. That’s about one-third the amount of corporate debt defaults. But municipal defaults are on the rise, and the trend is expected to continue. Last year 183 borrowers — mostly “risky” municipal issuers, such as suburban developers in Florida — were unable to make $6.4 billion of payments. That’s way up from 31 defaults on $348 million just two years earlier, according to Distressed Debt Securities. In the past year only one city has actually defaulted: Menasha, Wis. (Warrens, Wis. narrowly averted a default by agreeing to forbearance on a state loan.) But that could increase, says Matt Fabian, managing director at Municipal Market Advisors. Rampant unemployment, tepid consumer spending, and deeply underfunded public pensions are the leading causes of the balance sheet issues cities are having today. But years of political chicanery and poor financial decision-making by city officials are what led to this problem.